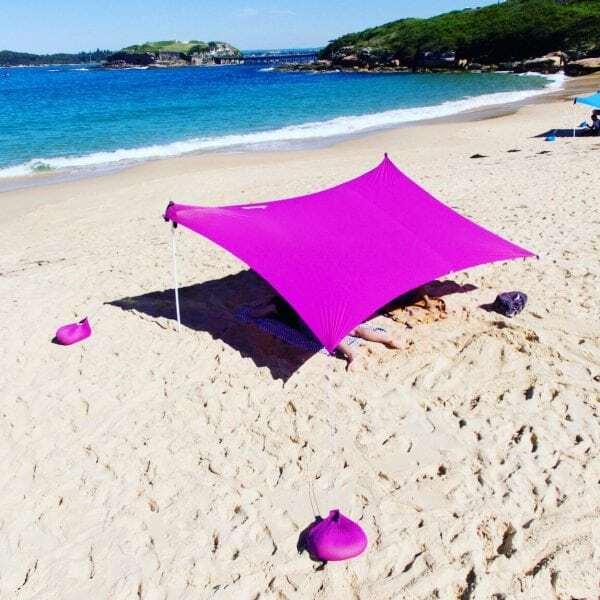 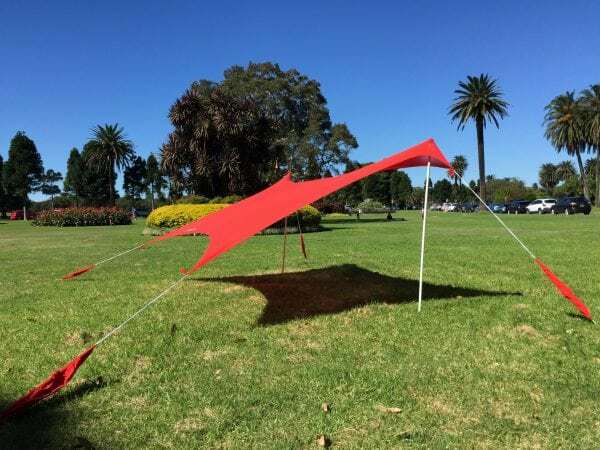 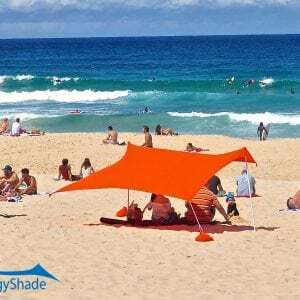 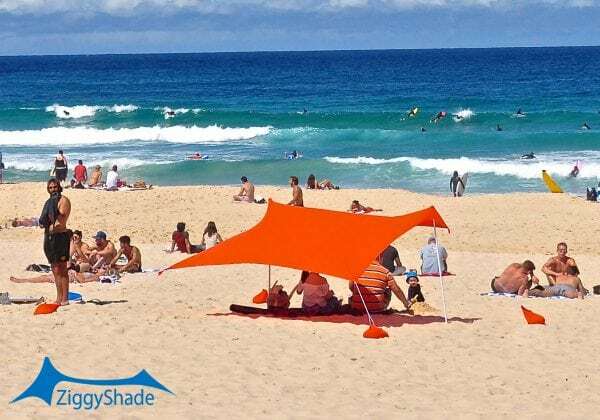 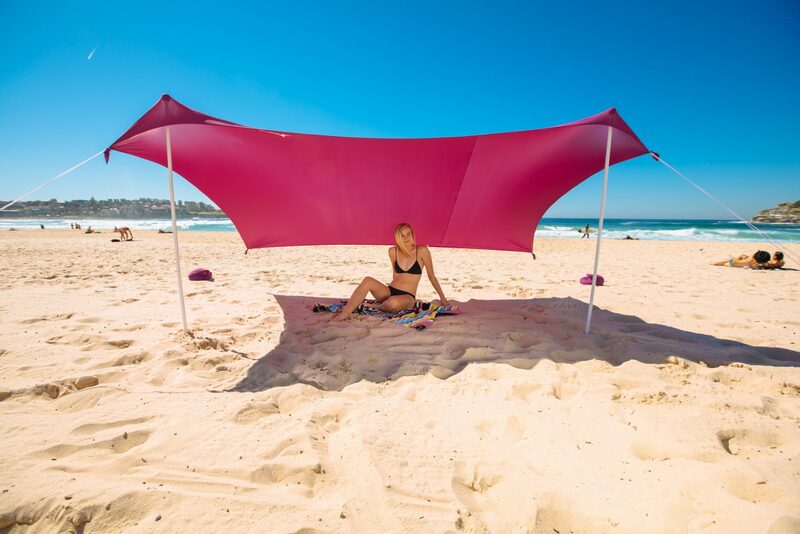 ZiggyShade is a lightweight, simple and versatile UPF50+ beach tent, created to protect you and your family from the sun. 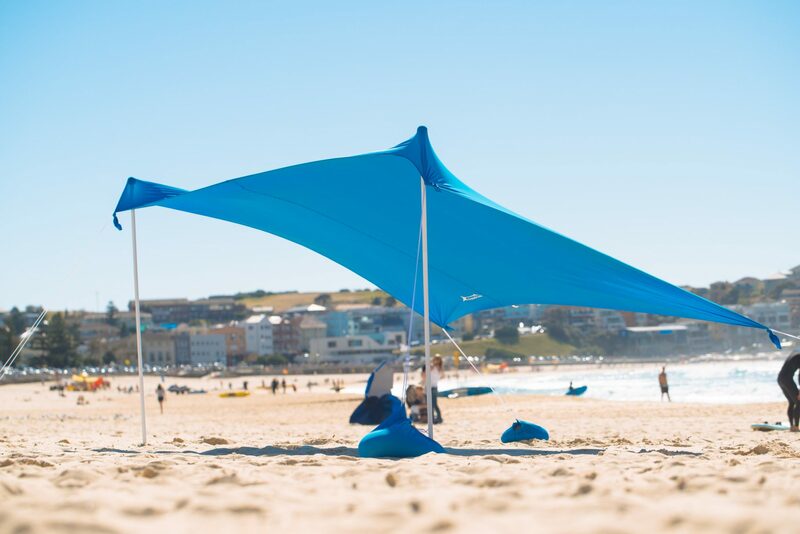 Made from quality Lycra fabric, the ZiggyShade is UPF50+, tested and certified to Australian government standards. Available in two sizes, Standard and Family. 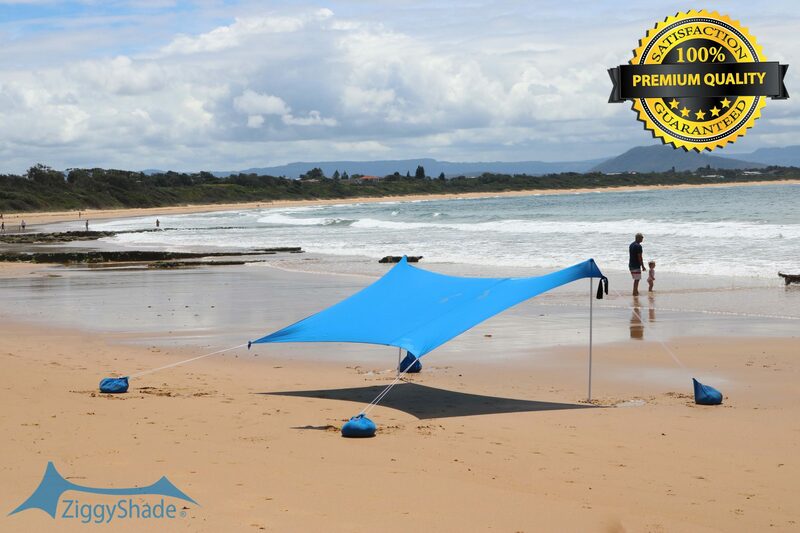 The Standard size is 2m by 1.6m (unstretched) and is suitable for up to four people. 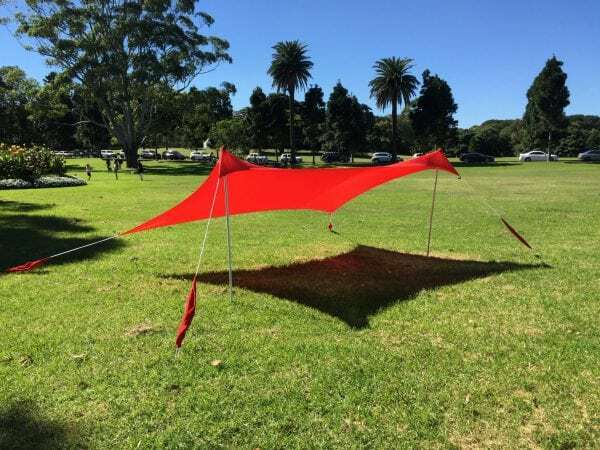 The Family size is 2.4m by 2.2m (unstretched) and is suitable for up to six people. Both the Standard and Family size come with poles that are 1.67m high. 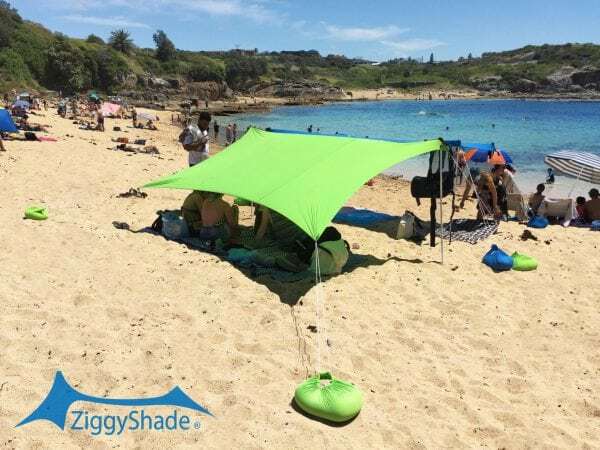 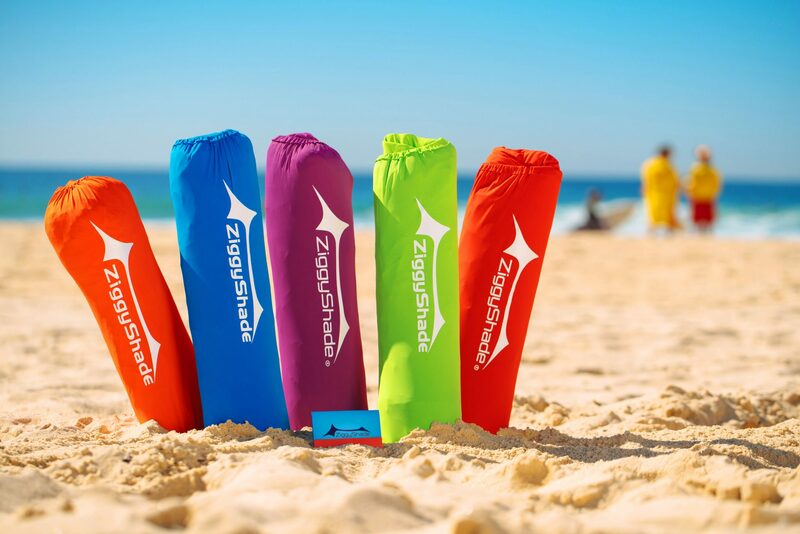 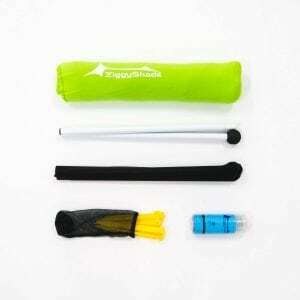 The ZiggyShade comes with a carry bag which, when the shade is packed inside, is 61cm long and about the size of a yoga mat. The ZiggyShade weighs 2-2.5kg. 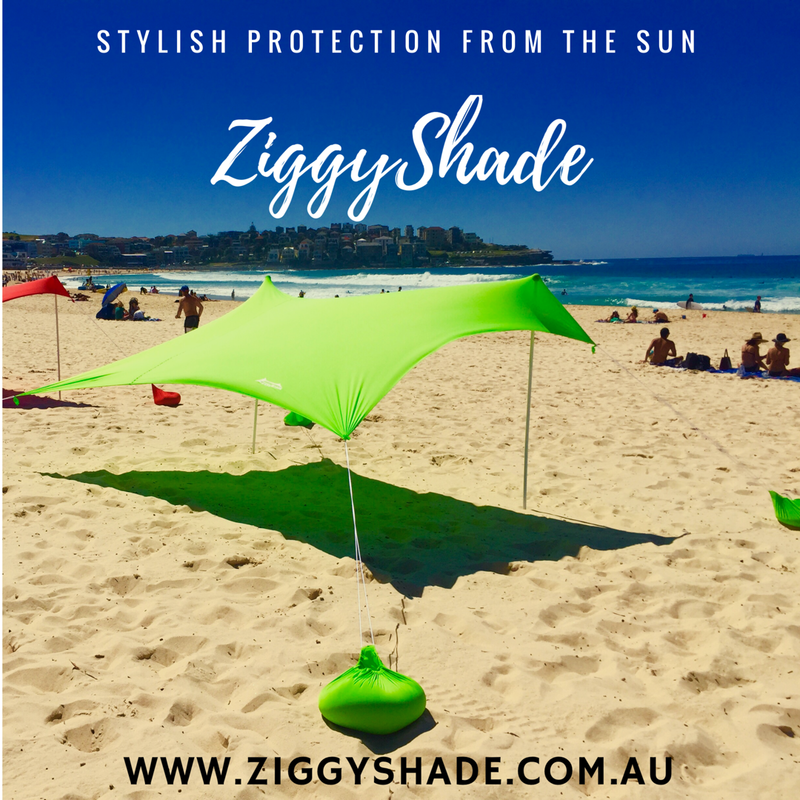 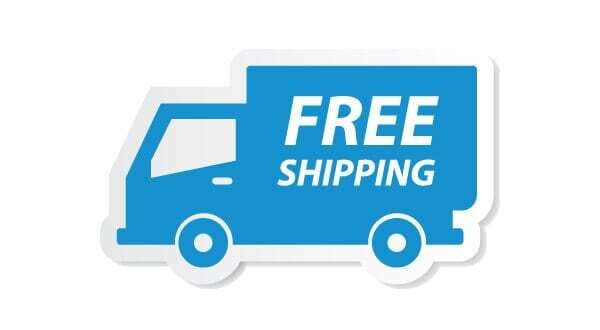 For more information, please refer to the About ZiggyShade and FAQs section of our website.